Here are some of Mr. Phillips' most notable dog bite cases. 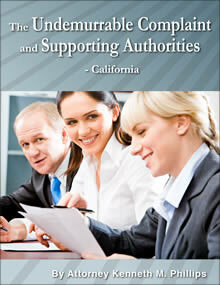 Although 8 states are mentioned here, Phillips has represented clients in nearly every state. The Case of the Manager's Friends - (Louisiana.) Mr. Phillips obtained a seven-figure settlement for an 8-year-old girl who was attacked by pit bulls and horribly disfigured. The defendant was a family trust that owned rental properties. The pit bulls belonged to tenants at one of those properties. The trust claimed that it was not liable because it did not know that the pit bulls were vicious or that they were even there. 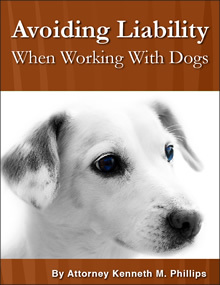 Liability was established by proving that the tenants were friends of the manager of the properties, who knew very well that their dogs were vicious. The Case of the Little Lady Who Loved Dogs - (California.) Seven-figure settlement for a two-year-old boy who was attacked by a neighbor's dog when his mom set down the child to take groceries out of her car. As she did that, a very small neighbor was walking nearby with her three Akita dogs. One of the dogs saw the boy and started running to get him, leading the other two dogs which, in turn, were pulling the neighbor behind them. The first dog picked up the child by his head, its teeth penetrating the boy's forehead, eye socket and cheek. The dogs then began running away with the boy. The Case of the Missing Million - (Wisconsin) Seven-figure settlement for an 18-month-old boy whose nose was ripped off by his aunt's dog. 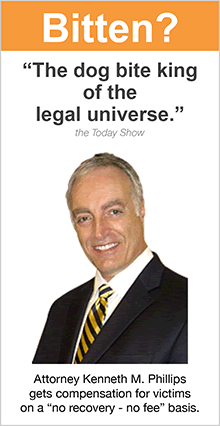 The case is noteworthy for what happened after it was settled. The company that handled the child's funds proposed a "deal" to his parents that would have allowed that company to keep one million dollars of the child's money (half of his total). Attorney Phillips exposed the plan and invested the funds with a different company. The Orphan Case - (Virginia) Six-figure settlement for a young girl who was bitten in the face at an auto repair shop. The business and its owner didn't own the dog but harbored it at their shop. The case was hotly contested because the dog had never bitten anyone and the shop was in a state that follows the one bite rule. Nevertheless, Attorney Phillips was able to prove that the defendants made the dog vicious by treating it less than humanely. This is called the "Orphan Case" because the girl's mother gave her up shortly after birth, and her father committed suicide a few months after she was attacked by the dog. The Gate Case - (California) Six-figure settlement against a real estate development company and its property management company when a pit bull went through a nonfunctional gate and killed a homeless woman. 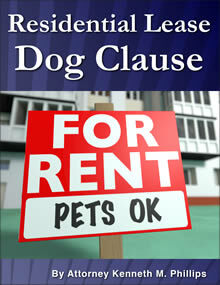 Liability was based on the defendants' failure to inspect the property and fix the gate despite knowing that the tenants owned a pit bull and other dogs. The Movie Studio Case - (California) In a case against a movie studio, a six-figure settlement for an art director who was attacked by studio guard dogs while on a movie set, designing a scene. The caretaker of the premises allowed the dogs to go at large despite knowing that the film crew was present. The movie studio was liable because it was his employer. The Case of the Taco Eating Sheriffs - (Tennessee) In a case against an animal control department, a six-figure settlement after a young woman was killed by pit bulls previously declared to be dangerous but nevertheless were given returned to their owner. The case has this unusual name because during the 30 minutes while the girl was being mauled, the two sheriffs who were summoned to help her were eating tacos. The Case of the Girl With the Cellphone - (California) Six-figure settlement against a school district that permitted wild dogs to live on its vacant property. The dogs were known to kill animals belonging to students, and to snarl and bark at people walking on school premises. One morning, a 16-year-old girl was walking past the school and the pack of dogs mauled her almost to death. She had the presence of mind to call 911 as she was being savaged by the dogs. The school's defense was that it did not own the dogs, and that the accident did not happen on its property. 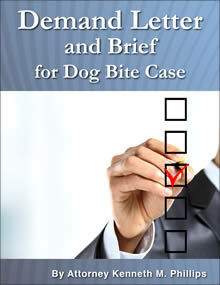 Attorney Phillips convinced the court that the school was negligent for failing to rid the dogs from its property. The Christmas Dinner Party Case - (California) Six-figure settlement against a dog owner whose dog bit off the nose of a 40-year-old woman at a Christmas dinner party. The accident happened in 1991 and was Mr. Phillips' first dog bite case. 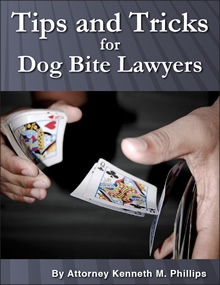 As he developed the strategy to win it, he realized that no other lawyer had ever analyzed dog bite law as a field in and of itself. 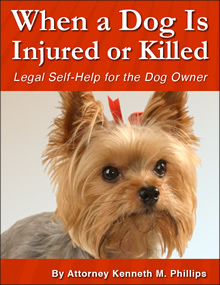 In fact, the term "dog bite law" was not used to denote this area of law until Mr. Phillips established this website, dogbitelaw.com, in 1998. The Case of the Pop-Up Store - (Texas) Six-figure settlement against a retail store whose employee brought her dog to work after it attacked a young boy on the street. The Case of the Scalping Dog - (Georgia) Six-figure settlement against a dog owner whose dog scalped a young boy who was playing in his grandparents' driveway. The Case of the Dog with the Narrow Eyes - (Pennsylvania) Six-figure settlement against a pit bull owner whose dog bit off the cheeks of a young boy. When the victim described what happened, he described in detail how the pit bull squinted at him before it attacked. The narrowing of eyes, as if the dog is concentrating or focusing, is a common precursor to pit bull maulings. The Case of the Grandparents Who Cried Poverty - (California) Six-figure settlement against the parents of the dog owner because they went to his house when he was not there and let his pit bull run onto the street. It attacked a young mother and bit off her arm. Fortunately she was rescued before bleeding to death, and her arm was reattached at the hospital. The Tourist Case - (California) Five-figure settlement against a police department on behalf of a tourist who was invited into a police car and then bitten on the hand by the police dog which was sitting in the back seat. The Case of the Dogs That Hunted Through a Wall - (California) Five-figure settlement against a construction company for emotional distress suffered by a woman who previously had been attacked by a pair of Rottweilers that lived next door, after construction workers allowed the dogs to escape and chase her. 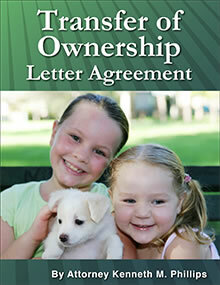 As part of the settlement, the neighbors also had to get rid of the Rottweilers. This was because the plaintiff experienced extreme fear when hearing the dogs following her on their side of the wall that separated the two households. The Pet Sitter Case - (California) Five-figure settlement on behalf of a pet sitter, against the owners of a dog she was caring for. Normally a pet sitter is not allowed to sue for a dog bite. Attorney Phillips convinced the opposing insurance company that the dog owners were liable because they were the pet sitter's employers. DISCLAIMER: Case results depend upon a variety of factors unique to each case. Case results do not guarantee or predict a similar result. 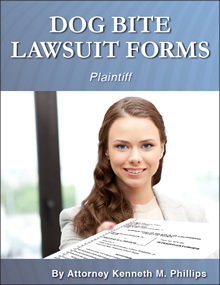 The case histories, testimonials and endorsements at this site do not constitute a guarantee, warranty, or prediction regarding the outcome of your legal matter or potential legal matter.